Some women choose to have pain management medically and others naturally. It is important to know the risks and benefits of all kinds of pain management. ASK: What is hypnosis? How can it help in childbirth? 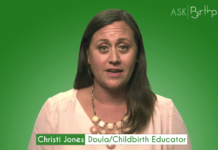 ASK: How can acupuncture help with labor and delivery? ASK: What are some risks of having an epidural? ASK: I just found out I’m pregnant! Am I alone in my fear of facing labor? ASK: What are some pain management options aside from getting an epidural? ASK: What are some comfort techniques I can use during labor? ASK: What types of pain management options are available for my labor and birth? ASK: What are the different kinds of anesthesia? ASK: How is sedation used during labor? 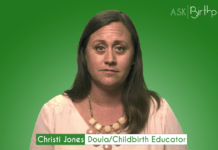 ASK: What are common side effects of epidurals used during labor? 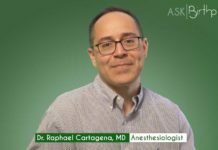 ASK: What is spinal anesthesia and when is it used during labor and delivery? ASK: Why would I use visualization to help me with handling my contractions?